Samsung is apparently looking into making low- and mid-range smartphones using the Windows Phone platform in an effort to diversify its product range. Of course, it would only do this if the current legal dispute with Microsoft came to an end. The South Korean smartphone manufacturer has been looking into building devices that run on operating systems other than Android in an effort to reduce its reliance on the Google made OS. 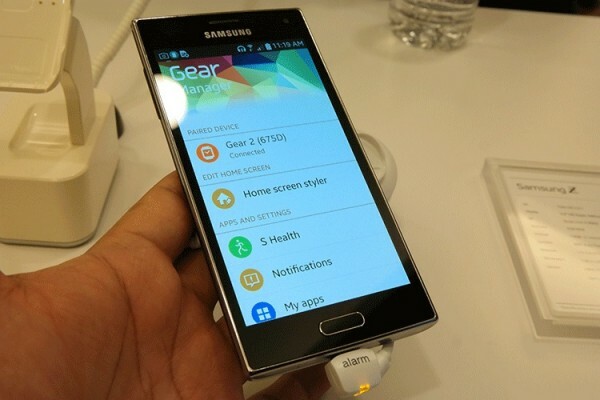 Tizen, which was developed with Intel, has not been doing as well as Samsung would have liked; despite the OS also being deployed on the Gear S smartwatch and the entire upcoming line of 2015 Smart TVs. Samsung has apparently been testing the stability of Windows Phone, and if the legal issues could be sorted out then the public could be seeing a new Microsoft powered Samsung smartphone by the end of the year. The two technology giants have been locked in a series of lawsuits, one of which surrounds Microsoft’s acquisition of Nokia’s devices division. Samsung is asking anti-trust officials to nullify the sale as it says that this would make Microsoft a direct competitor. Microsoft, in turn, took Samsung to court after the company failed to pay royalties. Samsung has argued that it should not be paying royalties to a direct competitor, especially now that Microsoft is making its own mobile devices. As it stands, the only way for Microsoft to get Windows Phone on Samsung devices would be to reach for a settlement in the royalties issue. Although admittedly, this news could just be a move by the Koreans to push Redmond into dropping the suit.